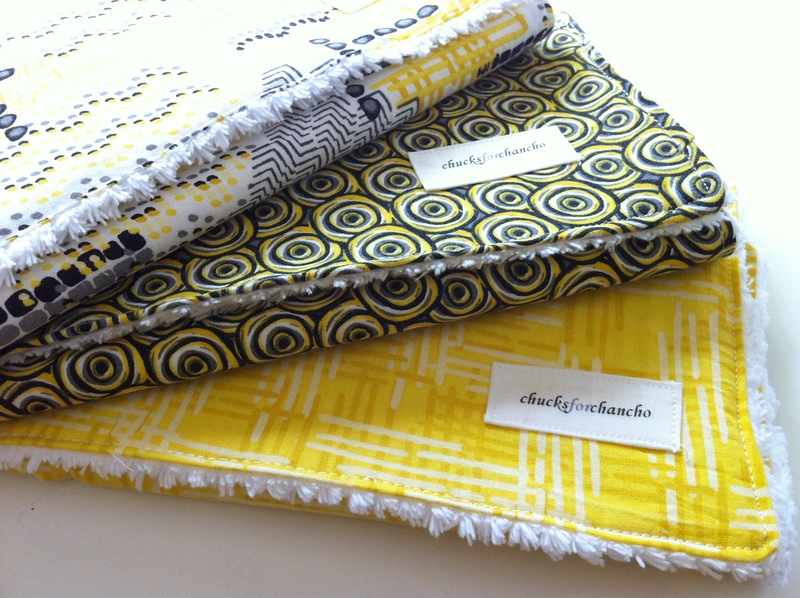 I was recently inspired by Dana over at MADE to add stylish baby burp cloths to my Chucks For Chancho collection. 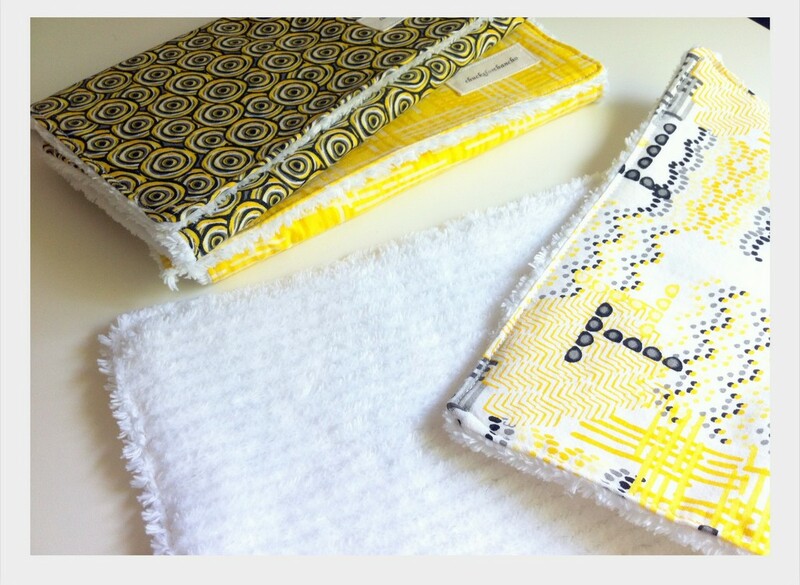 She does a great tutorial on her popular version of these chenille super absorbent baby cloths. I would have paid good money for these years ago! 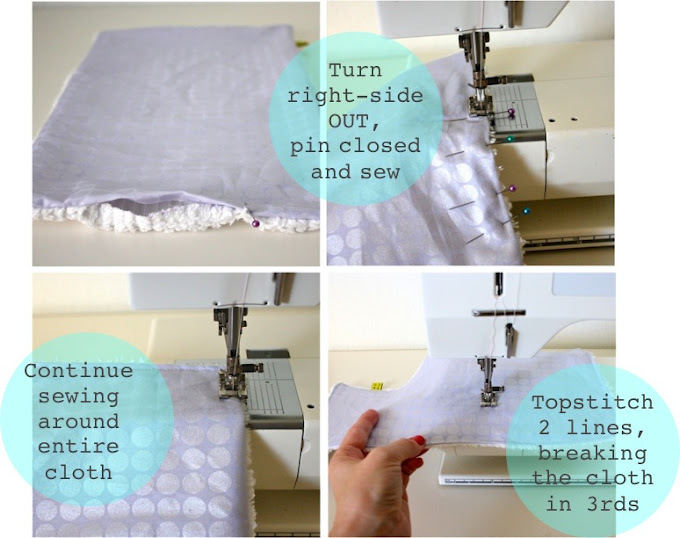 My son had really bad reflux as an infant and we never had enough burp cloths handy for all his little messes. I love that one side is absorbent chenille and the other can be ANY soft cotton fabric. 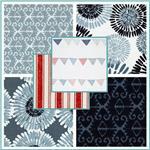 Like Dana at MADE, I cannot get enough of Michael Miller’s cotton fabrics. I spend more time than I dare admit online swooning over his collections, imagining all of the possibilities. Come on…. don’t these look amazing? The selections go on and on…. 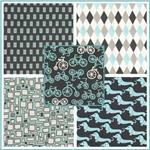 So, after narrowing it down for my first set I went with the blue/white/gray boy collection (the first sample shown with the bicycles). 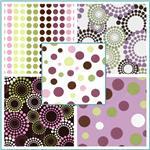 Purchasing only 1/2 yard of each in order to get several different styles. 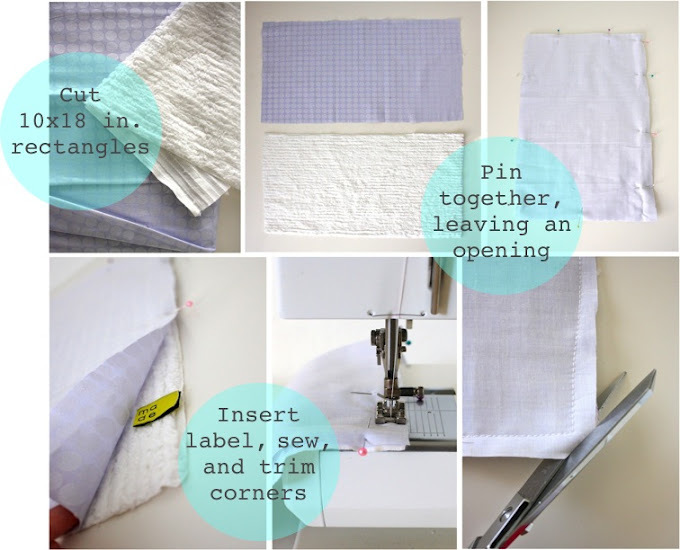 1 cloth measures 10″ x 18″ so 1/2 yard is plenty for a few cloths. For the absorbent side, instead of using the store-bought Gerber diaper cloth, I chose to go with the chenille. Its super soft and extremely absorbent. Only down side is chenille is not cheap with prices going up to $18 depending on the store. Luckily I was able to get it on sale at Fabrics.com for $12.98 p/yard (still not cheap). I borrowed some of Dana’s detailed tutorial photos just to show a little bit of what it takes to get these bad boys put together. Dana has an awesome blog. Any DIYer should head over there to check her out. Here is what my first set looked like, fancy labels and all. SUCCESS! 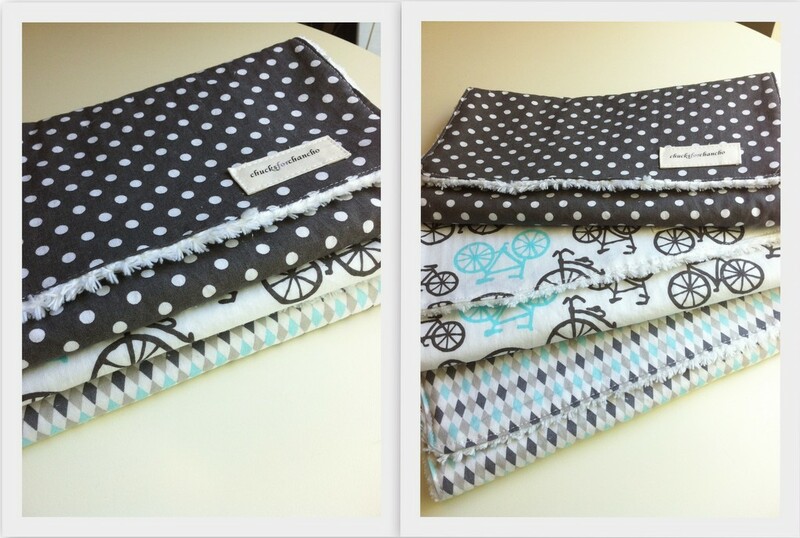 I have set some of these aside for new baby gifts and am excited to get some more done. These are so addicting, can’t wait to make a ton for others to enjoy them! Next, I put together a matching set of cloths for the Bumble Bee Mary Janes which I cannot wait to give away! The yellow and black combination is so refreshing. I lovvvve the patterns. Love what you’ve done with these. Very nifty idea. I also like that you’ve added your label to them. I recently finished a baby quilt and debated with myself as to adding my label. I was concerned that the label on the back would deter from the simple beauty of the blanket. Seeing your label made me see my error. Will be going back and adding my label to a corner. Thanks for the inspiration. Thank you! I debated the same about the labels, thinking they might get in the way or look funky. But I really wanted to leave my mark on them. I’m happy with how they look and its very suttle. They’re gorgeous, much more stylish than my very dull muslin cloths!